***WARNING*** WE ARE SEEING A LOT OF USERS COMING IN TO OUR STORES WITH BLUE SCREEN ERRORS AFTER ATTEMPTING TO UPDATE THEIR WINDOWS COMPUTERS. IT IS CRITICAL THAT YOU FOLLOW THE PROPER PROCEDURES ESPECIALLY FOR UPDATING WINDOWS AND THE FIRMWARE ON YOUR COMPUTER'S MOTHERBOARD. IF YOU AREN'T SURE WHAT YOU ARE DOING IN EITHER OF THESE AREAS, WE HIGHLY RECOMMEND THAT YOU LET A QUALIFIED TECHNICAL EXPERT PERFORM THESE TASKS FOR YOU. Reminder: If you are a Data Doctors Quality Care Member, this service is free under most membership plans, so all you need to do is scroll down to the bottom of this page and Book an Appointment! As has been widely reported, nearly every computer made since 1995 is potentially at risk from two serious CPU design flaws that have been discovered by security researchers. Data Doctors has compiled this resource based on the information that we have so far and will continue to update this page as new information is released. Now that the information about these flaws has been made public, security researchers expect to see clever attempts to exploit users that have not updated their computers. It is vital for everyone to examine and patch their systems to avoid becoming a silent victim of these design flaws. If you don't feel comfortable navigating the following steps, Data Doctors has created a special service offering to help anyone that wants help protecting their devices - Just use the form below to Book an Appoinement or contact the Data Doctors location nearest you for help! All of the major Internet browser companies have released updates for their browsers, so make sure you update your computers, smartphones and tablets with the latest version. Every browser has an option that varies which allows you to check for an update, or you can manually go to the download page for your browser to get the very latest version. Mobile users should check the update sections of their mobile devices for available updates. All devices including computers, tablets and smartphones should be updated with the latest version of their respective operating systems. There is no single update available for Android users because of the wide differences in handsets, mobile carriers and available Android versions. Android users should check to see if their device is offering an update by going to Settings -> System -> System Update or simply by searching for System Update in the Settings Menu. Windows users need to update their Operating Systems, but can only do so if the antivirus product they are using has created a special key that will properly allow the update to install. Check with your anti-virus companies support website to see if they have published the necessary patch to allow for proper installation of the Windows Update. 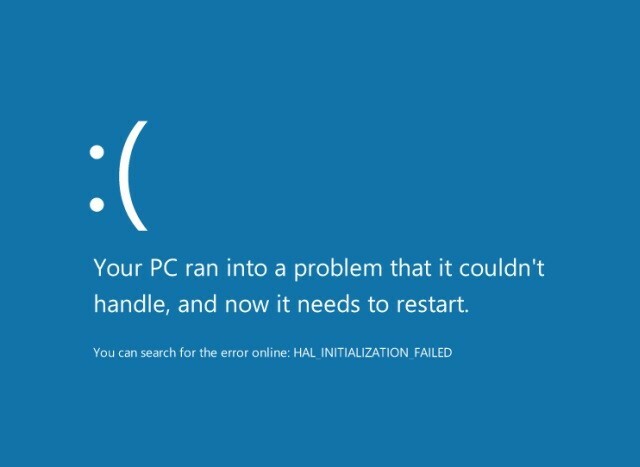 ***WARNING***: INSTALLING THE WINDOWS UPDATE ON A SYSTEM THAT HAS NOT BEEN PROPERLY QUALIFIED CAN CAUSE MAJOR ISSUES SUCH AS THE BLUE SCREEN OF DEATH (BSOD). IN SOME CASES, AMD BASED COMPUTERS ARE ALSO BECOMING UNBOOTABLE AFTER THE UPDATE BECAUSE OF SOME COMPATIBILTY ISSUES. WE DO NOT RECOMMEND UNDER ANY CIRCUMSTANCE THAT YOU MANUALLY INSTALL ANY WINDOWS UPDATES ESPECIALLY IF YOUR SYSTEM IS NOT SHOWING IT TO BE AVAILABLE. ***WARNING*** IF YOU DO NOT HAVE A WORKING KNOWLEDGE OF HOW TO NAVIGATE OR EDIT THE WINDOWS REGISTRY, MAJOR SYSTEM ISSUES CAN PERSIST IF DONE IMPROPERLY. A complete analysis of your specific combination of OS and Security Software should be performed before installing any Windows Updates to avoid major issues or set an appointment to have Data Doctors do this for you. This final step is may be the most challenging for some users as knowing what kind of motherboard/BIOS is essential in finding the proper firmware updates whether they be UEFI or BIOS updates. The exact process also varies from computer to computer, so the instructions will have to found through the manufacturer's online resources. Depending upon your computer manufacturer, you may find specific instructions for your computer at their support page. Computers that are more than 5 years old will have to wait until the end of January for Intel to finish publishing the remaining patches or in some cases may not have an option to update their firmware. In those cases, replacing your computer will be the only option to avoid being exploited by this major flaw. ***WARNING*** IMPROPER INSTALLATION OR DISRUPTION DURING FIRMWARE UPDATES CAN RESULT IN DAMAGED HARDWARE THAT IN SOME CASES CAN RENDER YOUR MOTHERBOARD USELESS. BE VERY CAREFUL TO VERIFY THAT YOU HAVE THE PROPER UPDATE FOR YOUR HARDWARE AND DO NOT TURN OFF YOUR COMPUTER UNLESS YOU ARE SURE THAT PROCESS HAS COMPLETED. Depending upon what you use your computer for, especially processor intensive activities, there could be up to low double-digit percentage decreases in processor performance. For most home and small business users, the impact should be fairly negligible. Business class servers or PCs that make a lot of Windows Kernel calls could see a noticeable reduction in performance. With a small number of exceptions, Google's Chromebooks are, or will be, automatically protected from these flaws according to Google. Google says none of its other consumer-facing products are affected by these vulnerabilities. Apple Watch - Not affected by Meltdown. As for Spectre, it will work on mitigations in future versions of its watchOS. Want Professional Help? Book an appointment for a FREE Checkup Now! Choose the nearest location: - Select One - [AZ Chandler] Ocotillo, - SW corner of Alma School and Germann (Fry's shopping center) [AZ Chandler] Chandler, - South West corner of Ray and Rural [AZ Chandler] Chandler Heights, - SW Corner Riggs Rd & Gilbert [AZ Flagstaff] Flagstaff, - On Milton at Forest Meadows (next to Quiznos and Little Cesars Pizza) [AZ Gilbert] South Gilbert, - SE Corner of Pecos & Higley [AZ Gilbert] Gilbert, - West of Val Vista on Baseline (South Side) [AZ Glendale] Arrowhead, - Northwest Corner of 67th Ave & Deer Valley (Sprouts Center) [AZ Maricopa] Maricopa, - SW corner of Smith Enke & John Wayne Parkway [AZ Mesa] North Mesa, - South East Corner of Greenfield & McKellips in the WalMart SuperCenter [AZ Phoenix] Paradise Valley, - Southwest corner of Tatum and Thunderbird [AZ Phoenix] Central Phoenix, - On the South-East corner of 16th St & Camelback between Target & Verizon [AZ Phoenix] Downtown Phoenix, - Serving Downtown Phoenix via Remote Support, In-Home and At-your-Business service! [AZ Phoenix] Ahwatukee, - South of Chandler on the West side of 40th St. [AZ Phoenix] North Phoenix, - On the SW Corner of 7th St & Thunderbird [AZ Queen Creek] Queen Creek, - In the Queen Creek Marketplace on the SW Corner of Rittenhouse & Ellsworth Loop [AZ Scottsdale] Scottsdale, - SE corner of Hayden and Indian Bend (On Indian Bend in the Albertson's shopping center) [AZ Scottsdale] North Scottsdale, - Southwest corner of Frank Loyd Wright and Via Linda next to Safeway. [AZ Scottsdale] Pinnacle Peak, - NE Corner of Pima & Pinnacle Peak [AZ Tempe] Tempe, - On the North West Corner of Rural Rd & Baseline Rd in the Whole Foods center [AZ Tucson] Tucson, - Serving all of Tucson via Remote Support, In-Home and At your Business service! [CA Vista] Carlsbad - Oceanside - Vista, - On Melrose Drive, just North of Palomar Airport Rd. in the Home Depot center [CO Boulder] Boulder, - One block North of Arapahoe on Folsom (Across from McGuckin’s Hardware) [FL Melbourne] Suntree/Viera, - In Suntree on Wickham Rd. in the Park Place shopping center next to Carrabbas [FL Orlando] Orlando, - Serving Orlando Metro via Remote Support, In-Home and At-your-Business service! [GA Atlanta] Atlanta, - Serving all of Atlanta Metro via Remote Support, In-Home and At your Business service! [IN Carmel] North Indianapolis, - Serving Indianapolis via Remote Support, In-Home and At-your-Business service! [MA West Roxbury] Boston, - Serving all of Boston via Remote Support, In-Home and At your Business service! [MN Wayzata] Wayzata, - Serving all of Western Metro Minneapolis via Remote Support, In-Home and At your Business service! [NJ Freehold] Freehold, - Serving all of Central New Jersey via Remote Support, In-Home and At your Business service! [NM Albuquerque] Albuquerque, - Serving all of Albuqueque via Remote Support, In-Home and At your Business service! [TX Arlington] Arlington, - Serving all of DFW via Remote Support, In-Home and At your Business service! [TX Dallas] NE Dallas, - Serving all of DFW via Remote Support, In-Home and At your Business service! [TX Dallas] Preston Royal Village, - Serving all of DFW via Remote Support, In-Home and At your Business service! [TX Dallas] Addison, - Serving all of DFW via Remote Support, In-Home and At your Business service! [TX Flower Mound] Flower Mound, - Serving all of DFW via Remote Support, In-Home and At your Business service! [TX Plano] Plano, - Serving all of DFW via Remote Support, In-Home and At your Business service! [WA Bellingham] Bellingham, - Serving all of Bellingham via Remote Support, In-Home and At your Business service!